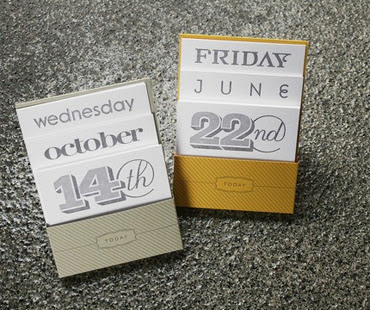 Almost three years ago we made this little calendar at CHA in our booth for a make and take. Afterwards we decided to show the calendar on our blog along with a tutorial and offered the calendar pdf to anyone interested. We never dreamed it would become an annual event. 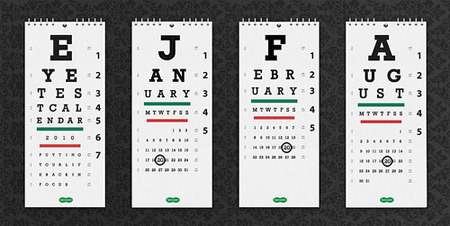 We have gotten many requests already this year, so here it is, the 2013 calendar for your crafting pleasure! Just email us at contact@2gypsygirls.com to get the calendar pdf. Directions: Cut 2 pieces of book board 6x6"
Cut printed paper 6x6 and decoupage to book board. Apply Distress Stain around edges of boards. I chose the Kraft Resist paper. I am a sucker for kraft and black....you can do some cool things to this paper with inks and stains, but I wanted to keep it the natural kraft color. Feel free to use your distress stains or inks for some color. Cut two inch square pieces of book board. Glue the two 1 inch square book board pieces together. These will go behind where you nail your tack, so that it has something to nail into. Print and cut out your calendar pages onto cardstock. Punch a hole in the top of the pages. Use the hole as guide to apply tack. Make a hole with awl to attach brad/key. Place jump ring between the two brad ends. Apply brad to book board and splay ends in back. Tie key to jump ring with narrow ribbon or elastic. Apply metal book corners to bottom corners. Punch holes at top and apply eyelets. Tie boards together with ribbon. ...or to see a couple more variations go here. 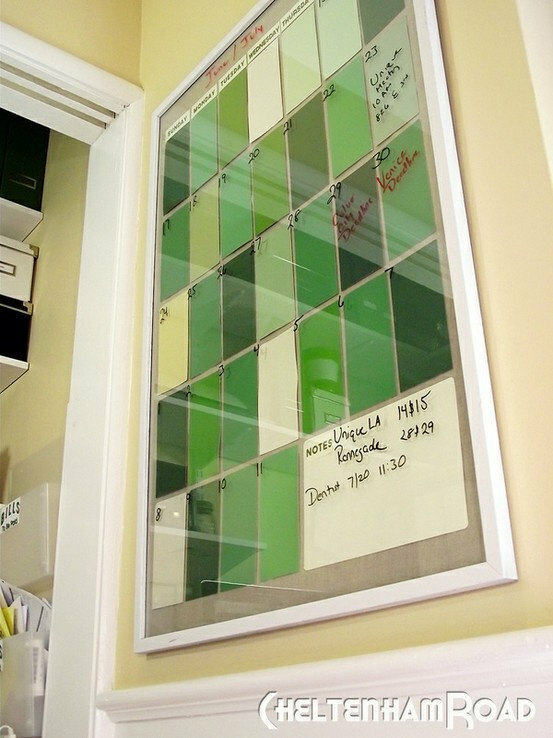 Calendar made with paint chips. 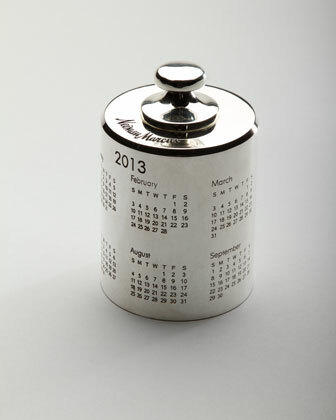 Your calendar is so lovely, I'd love to make one my own. I look forward to this post each year! 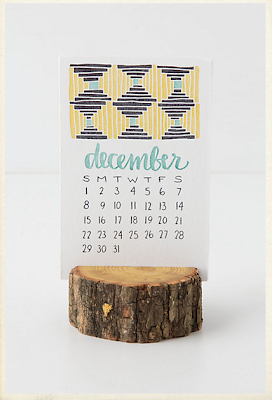 Love this project and I always love the other calendar ideas you post. The packing tape one is fun! Thank you for sharing the calendar! Exactly what I have been looking for. Thank you a million! That's really beautiful. Thanks so much. So glad the 'tradition' continues. Love both the old and the new. Many thanks! 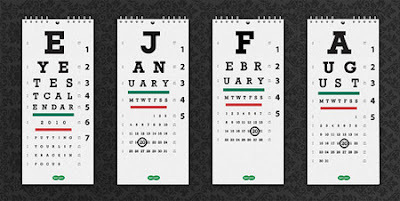 I love this calendar....and I like the 2013 changes!! Love it!! Thanks for inspiration!! This little calendar has always been one of my favorites! 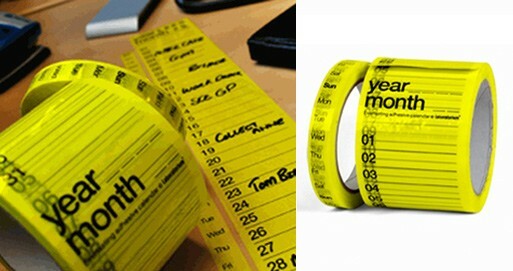 Love the additional ideas as well. TFS!! Love the key accent! Thank you so much for this free calendar! I really love it and I love your work! x Happy Holidays!